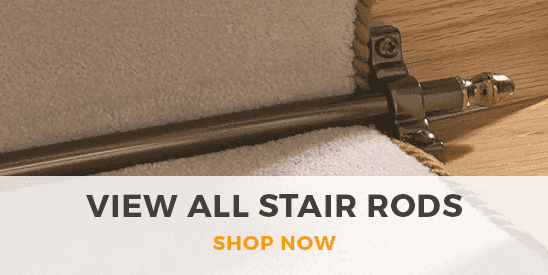 These Victorian Style stair clips are the perfect solution for a stair runner which may need to be removed from time to time. Made of high quality machined metal, the rods also have an invisible protective layer which ensure they will not become dull over time. They are also mark and scratch resistant. When fitting runner, simply rotate the arms in on each side so secure your runner. These clips are sold in pairs, with a right clip and a left clip. Simply screw into riser in desired position to suit your runner. It is recommended that screw holes for fitting are pre drilled with 2.5mm for soft wood stair cases and 3mm pilot holes for hard wood stair cases. Cleaning couldn't be simpler, just wipe over with a damp cloth to remove and dust or dirt and they will shine like new. 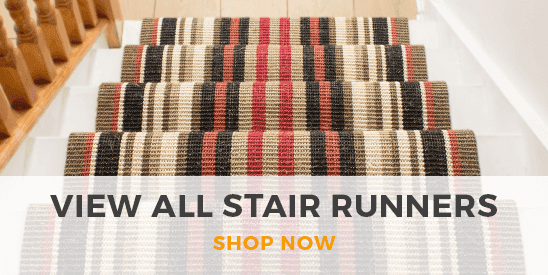 Carpet Runners UK recommends.... That you match the colour of your clips to other fixtures and fittings in your hallway and landing, such as door handles and light fixtures. Please be aware that as this product is made to order, our no quibble return policy does not apply to this product. The clips are not returnable and non-refundable.